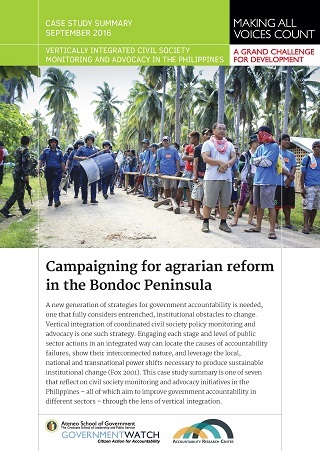 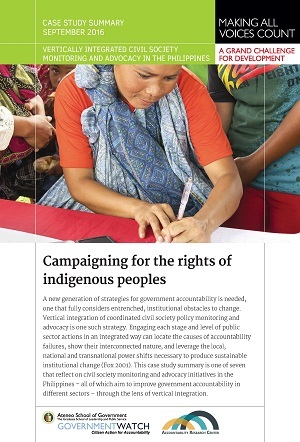 The case study focuses on the organizing efforts of two national agrarian reform networks, the Rural Poor Institute for Land and Human Rights Services (known as RIGHTS Network) and the Movement for Agrarian Reform and Social Justice (Katarungan), and their campaign with local farmers’ organizations on the Bondoc Peninsula. 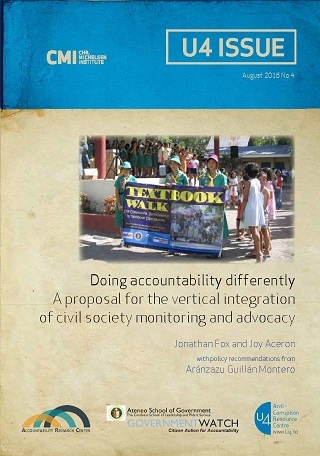 The case study examines the work of the Reproductive Health Advocacy Network (RHAN) to push for the passage of the Reproductive Health Bill, despite stiff opposition from the highly influential Catholic Church. 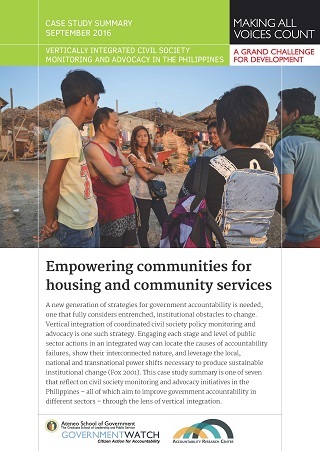 The case study looks at the work of Damayan ng Maralitang Pilipinong Api (DAMPA, Solidarity of Oppressed Poor Filipinos), a network of more than 90,000 poor urban households, which works to provide “viable solutions to basic poverty problems endemic to the urban poor” (DAMPA 2004). 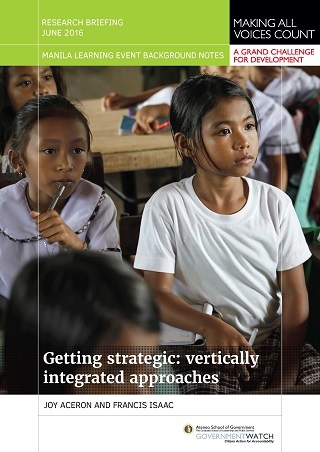 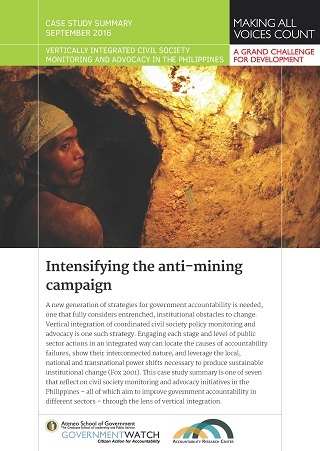 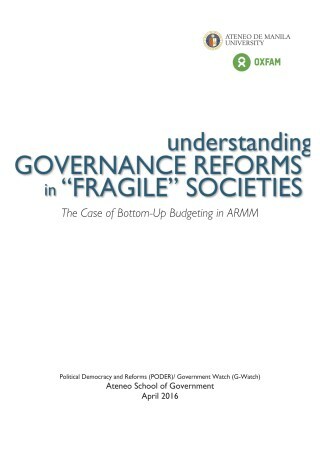 This piece puts forward propositions on "doing accountability differently" through strategies that tackle power and systemic issues in order to address root causes (instead of just the symptoms) of corruption and bad governance through balanced and synergistic, multi-level and multi-actor actions on transparency, participation and accountability.